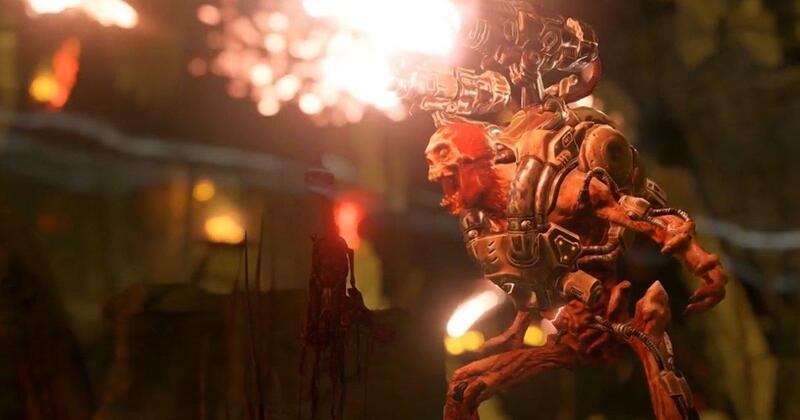 Just announced during this afternoon’s Nintendo Direct presentation, 2016’s DOOM and the upcoming Wolfenstein II: The New Colossus will both see releases on the Nintendo Switch. Though publisher Bethesda is saving details for a future date, id Software and Machine Games will take the helm for their respective title’s Switch versions; whether or not single Joy-Con use or Amiibo functionality will be present for either game also remains a mystery, however Skyrim will allow players to use Amiibos to fast-unlock in-game gear and weapons based on The Legend of Zelda: Breath of the Wild. A proper trailer has yet to release for either game, but the official announcement can be seen near the 24:30 mark of today’s Nintendo Direct. Skyrim will be the first of Bethesda’s three Switch announcements to release on 11/17, followed by DOOM sometime this 2017 holiday season and Wolfenstein II: The New Colossus in early 2018. Wolfenstein II: The New Colossus is currently scheduled to release for PC, Xbox One and PS4 on 10/27; DOOM is currently available on the same platforms, complete with all DLC content free of charge courtesy of the recent “6.66” update.